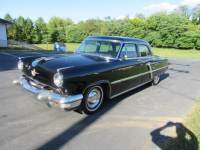 ...1954 Lincoln Capri 4dr Sedan, nice older restoration, good body and paint, good orig int, V8, auto, ps, runs/drives good. ...GET IT SHIPPED Free Auto Shipping Quote: 1957 Lincoln Capri all factory that needs complete restoration or would make a great lead sled. 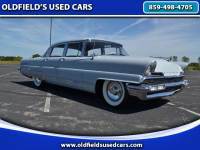 ...GET IT SHIPPED Free Auto Shipping Quote: 1954 Lincoln Capri 2 door Hard Top. Power Windows and Power Seats. All Original.